The best way to enjoy the most delicious fruits and vegetables is to buy them when they are in season and to properly care for them. In-season produce are at their peak, which means their flavor and appearance are at their best, and knowing when to use and how to care for this fresh produce means a lot less food wasted - and money saved! One of the best ways to enjoy the most delicious (and inexpensive) vegetables and fruits is to buy them at their seasonal peak. 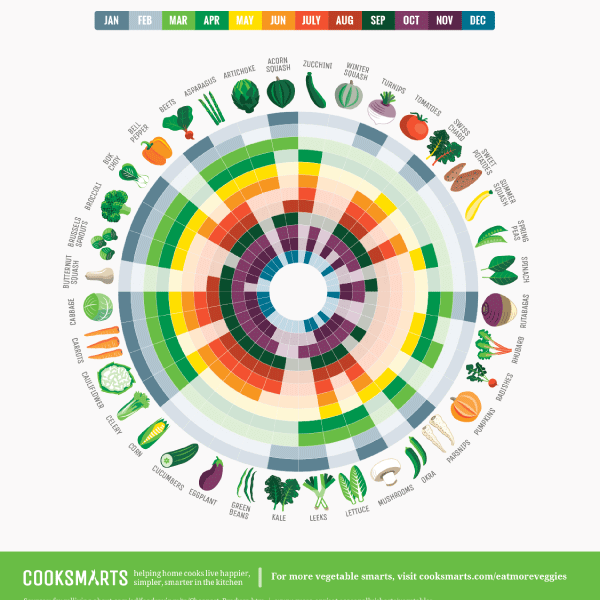 This is when veggies and fruits taste their best flavor-wise, and they look the best, too! 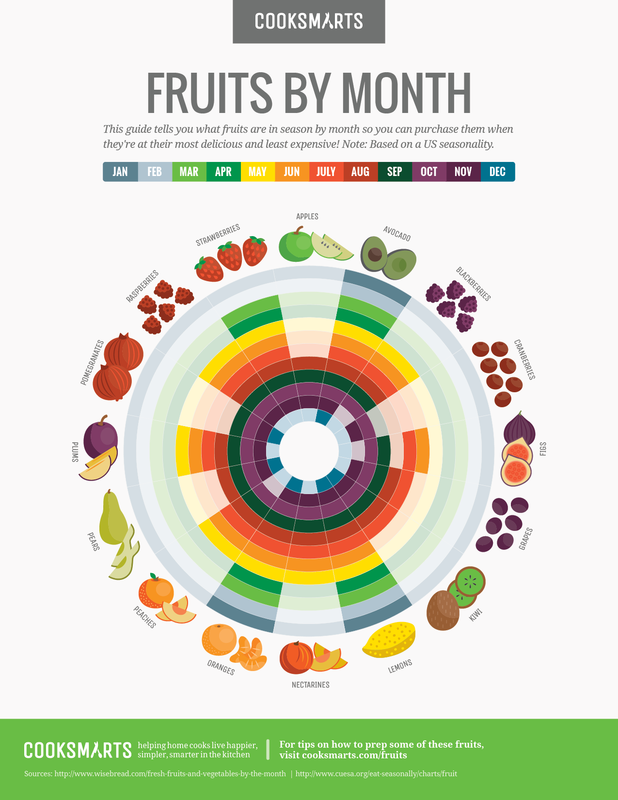 There is some produce, like summer squash or winter squash, that are obvious what time of year they are available, but it might be hard to keep track with all the other fruits and veggies that are out there. With our seasonal guides, you’ll be able to discover the freshest and best produce available at each time of year, and they’ll help you keep track of all your seasonal favorites. That means you’ll never miss out on the short fig season or forget when to buy the greenest, least expensive asparagus. By preparing your own home cooked meals, you’re already doing a whole lot to keep your food bill in check. But just because you’re making your own meals at home, does not mean that perishable items are not going to waste. 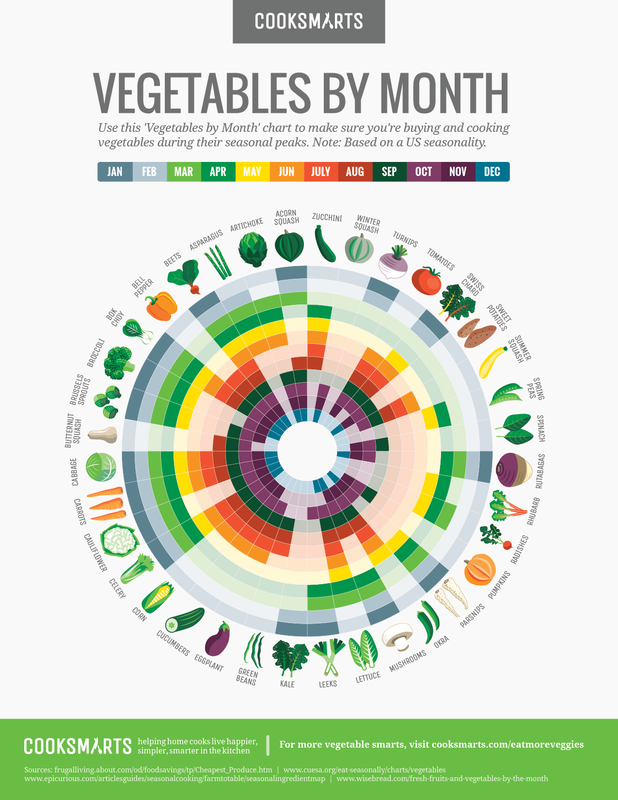 Many times, the reason for this is because folks don’t know the shelf life of fresh vegetables. Our Produce Shelf Life Guide will teach you when to use and how to care for those fresh veggies, which means a lot less food wasted – something we can all get behind! Plus, our video on How to Store Herbs below will show you how to properly store fresh herbs, so that they’ll stay fresher longer and last you for many recipes.